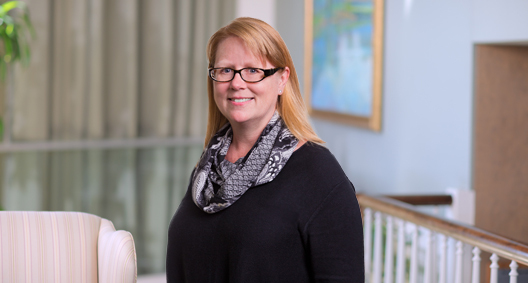 Beth McCallum has more than 22 years of experience in complex commercial litigation. Her practice is focused on large-scale commercial, antitrust and class action matters at the trial and appellate levels. She immerses herself in her clients' industries to learn as much as possible regarding their operations and the environments in which they operate in order to provide the most efficient and valuable representation during complex and significant matters. Beth's practice has always included a significant pro bono component, including large-scale constitutional cases in the areas of school funding and reproductive rights. Beth is currently the pro bono director for BakerHostetler's Washington, D.C., office. Represented tobacco company clients in a series of actions to compel 46 states to arbitrate a dispute concerning applicability of a $1.2 billion adjustment to payments of participating manufacturers under the Tobacco Master Settlement Agreement. Continuing to represent these same clients in ensuing multi-year arbitration with 46 states over disputed payments of participating manufacturers under the MSA. The case has been described as "unprecedented" in size and complexity by The American Lawyer. Represented the same clients in a suit raising antitrust and constitutional challenges to the Tobacco Master Settlement Agreement. A motion to dismiss was granted in favor of tobacco companies and state defendants. Represented one longtime tobacco industry client before the Mississippi Supreme Court in a case striking a portion of a statute taxing the client for sales of cigarettes to retailers and consumers in other states as violating the Commerce Clause. Represented a manufacturing client in litigation involving breach of contract, tortious interference and conspiracy claims. A settlement was reached in 2006 on the client’s claims. Antitrust class action experience includes class issues in a multi-district litigation on behalf of a major contact lens manufacturer, including defeating class certification in related state court actions. Counseled and represented clients regarding legislative and governmental policy strategies and actions at the federal and state levels. Had the lead role in a constitutional challenge to adequacy of education provided by the city of Baltimore to a class of students living in poverty. The case was resolved with a consent decree and a substantial legislative increase in funding. Represented a client in a state challenge to a restrictive Tennessee abortion statute resulting in a state Supreme Court decision finding that the right to privacy under the state constitution was broader than the federal right. Filed several amicus briefs to the U.S. Supreme Court in cases involving rights of people with disabilities. Has handled numerous individual cases, including most recently a housing discrimination case that resulted in the firm obtaining the "Outstanding Achievement Award to Cooperating Law Firms" from Washington Legal Committee for Civil Rights and Urban Affairs in 2012.